Harry Evry, son of the late Phyllis Schoenbrun Evry, has become engaged to Jackie Prince. Roberta Edelman, daughter of Laura (Goldberg) and Ed Edelman, was married to Dr. Michael Furhman of Albany, NY, in February 2005. David Schoenbrun, son of Cele and the late Michael Schoenbrun, was maried to Crystal Garcia. in May in California. 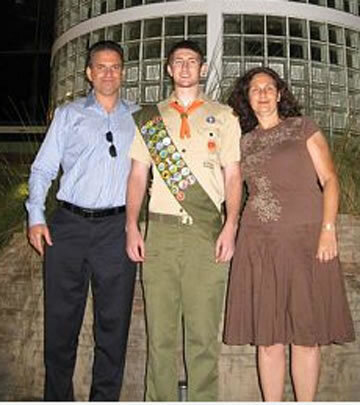 Brandon Nydell, the great grandson of the late Anne Katz Schenker, the grandson of Larry Schenker (Los Angeles, CA) and the son of Cindy and Lee Nydell (Tustin Ranch, CA) achieved the rank of Eagle Scout (a rank achieved by only about 5% of all scouts). He emulated his grandfather Larry who became an Eagle Scout about sixth (60) years ago. There is a saying, “Once an Eagle, always an Eagle” and we all know the pride and knowledge Brandon gained will always be a strong foundation for the rest of his life. Eric Schneider, the great grandson of the late Anne Katz Schenker, the grandson of Larry Schenker (Los Angeles, CA) and the son of Lynn and Alan Schneider (Ridgefield, CT) graduated from Quinnipiac University (Hamden, CT) in June of 2009. Brandon Cohen, son of Jill Goldberg Cohen and Anthony Cohen, had his Bar Mitzvah on September 20, 2008 at Temple Emanu-El in Livingston, NJ. 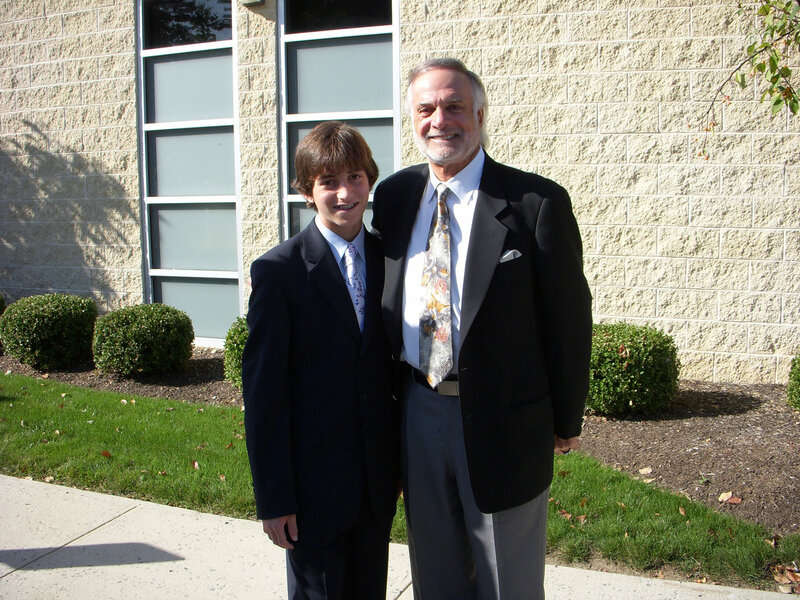 Brandon is shown in the photo with his grandfather, Alan Goldberg. Click here to see photos. Paul Krooz passed away on October 9th, 2007. He is survived by his wife, Florence Katz Krooz and two daughters. Paul was instrumental in preparing the Katz family tree. This site requires the newset Flash plug-in for viewing and navigation. Click the button at left to download.